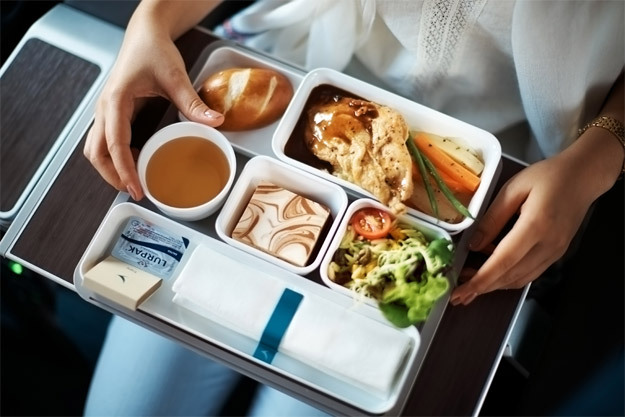 A flight upgrade is something to tell your friends about, and the ultimate treat to yourself. With Wendy Wu Tours, it’s never been more affordable to fly in style. 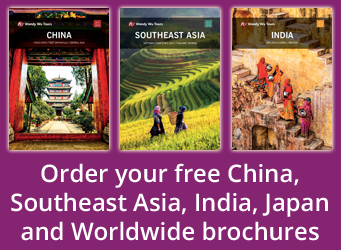 So get ready – you’ll be amazed at what we can offer you when you book a China tour with us in 2017. Premium Economy is the ‘unknown’ section of the plane: not quite Business Class, not quite Economy. You walk through it to get to Economy but you don’t tend to pay it much attention. But it’s a little bit special. We’re talking about dedicated check-in counters and priority boarding at the gate. There’s increased baggage allowance for all those souvenirs. 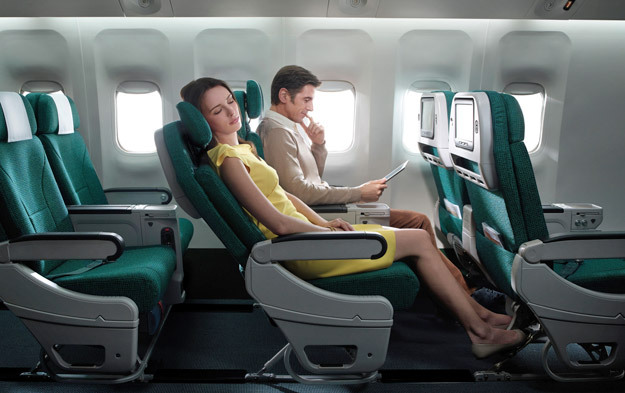 Your own cosy cabin with wider seats, much more legroom and – best of all – much more recline with a flexible headrest and perfectly placed leg rest. Paired with an amenity kit including socks and an eye-shade, you’re guaranteed a great night’s sleep. More snacks, enhanced dining and a welcome drink await you. A bigger screen means bigger entertainment, and you can even connect your own tablet or mobile to stream what you would like to watch. With noise-cancelling headphones, the duration of your flight will fly by. It’s a different way to fly, and one that’s very comfortable. 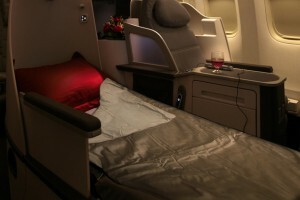 Let’s talk about the pure luxury of Business Class. We all get the nervous jitters of having to wait those 2-3 hours in the airport for our flight. We may be excited, but when it comes to queuing for check-in, even more queuing for security and then joining the rest of the world as you try to buy a sandwich pre-flight; it’s something that we could really do without! Well, with a Business Class ticket, you are THE priority. You can check-in at the dedicated Business Class desk, be whisked quickly through security and instead of heading for the usual shops and restaurants in the terminal, a Business Class lounge awaits. 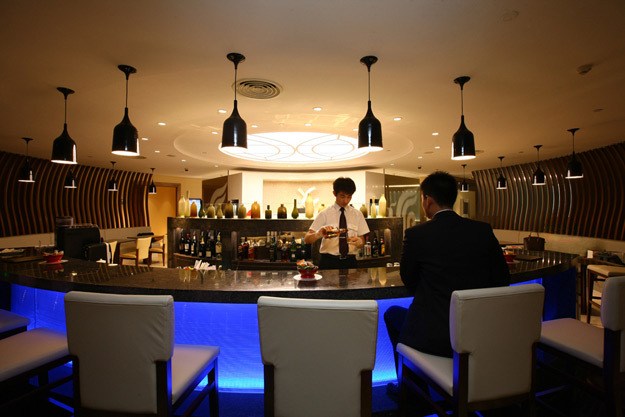 Here you can unwind before your flight with a wide range of food and drink whilst you read the free newspapers and sink into the comfortable chairs. It’s all included! And when your gate is called, you’re one of the lucky few to step on the plane first, expertly guided by the smiles of the crew. 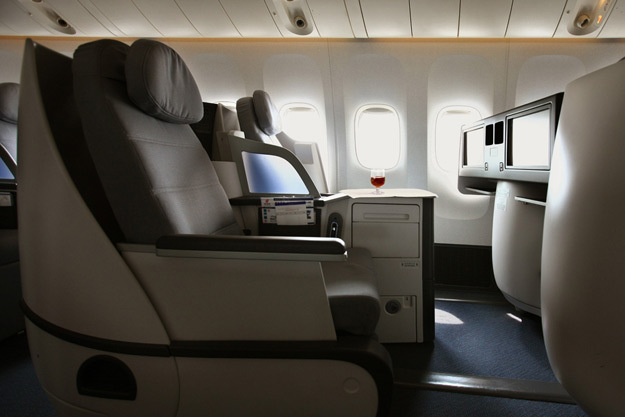 As the flight takes off, champagne in hand and a world of entertainment just waiting to be viewed in front of you on your large screen, you can fully relax and appreciate this new mode of flying. Who knew it could feel like this? After eating from the delicious a la carte menu which is expertly paired with your choice of wine, you’ll feel ready for a good night’s sleep. 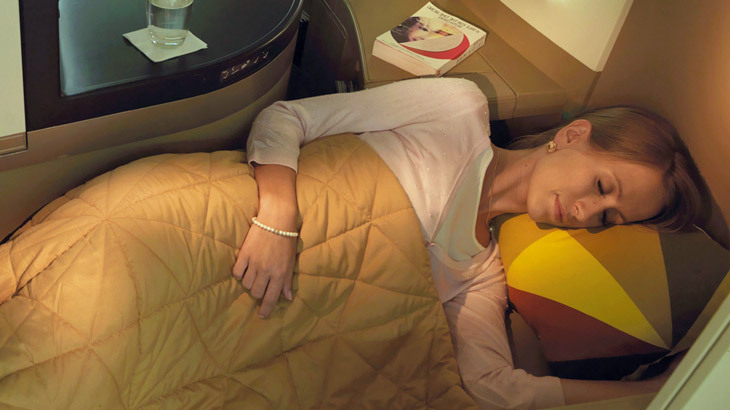 You will have a fully flat bed, with fluffy pillow and soft blanket as you fall into a peaceful slumber, perfectly cocooned in your Business Class pod. Before you know it, your destination is upon you. Time flies when you are so relaxed. Hold on, what about First Class?! 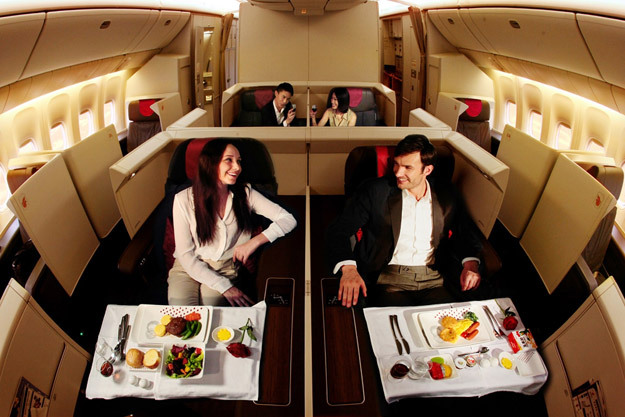 For that touch of even more luxury, an upgrade to First Class is one you’ll remember forever. 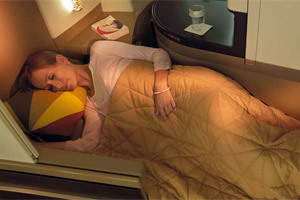 In its own private section of the plane, experience even more luxurious legroom along with your fully flat bed with direct aisle access, perfectly snug in your own secluded pod to close yourself away from the world with your very own First Class pyjamas. Discover the delights of enhanced multi-course a la carte dining along with a full selection of French wines to choose from. You can dine on demand – you choose when you would like to eat! Book your 2017 Asia holiday with the UK’s leading Asia Experts, Wendy Wu Tours. Look out for our amazing January offers! What happens if you booked last Aprilto go n March 2017? How could I get an upgrade?